Your tax-deductible gift to the U.S. 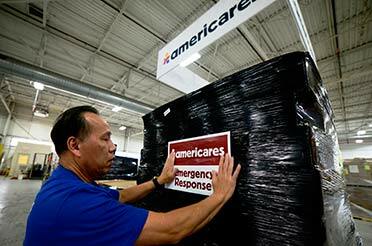 Disaster Relief Fund will help ensure Americares has the resources required to respond effectively and quickly to natural disasters such as wildfires, hurricanes, floods and tornadoes with medicines, medical supplies and other humanitarian aid for people in crisis and continue to help survivors rebuild their lives. Because we deliver donated medicines and medical supplies to a trusted network of locally-based providers, we leverage every dollar you donate many times over to provide even more help to people in desperate need. That’s the power of giving to Americares!